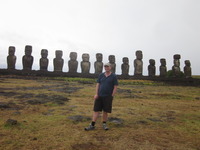 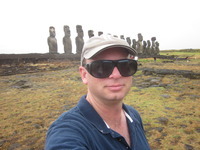 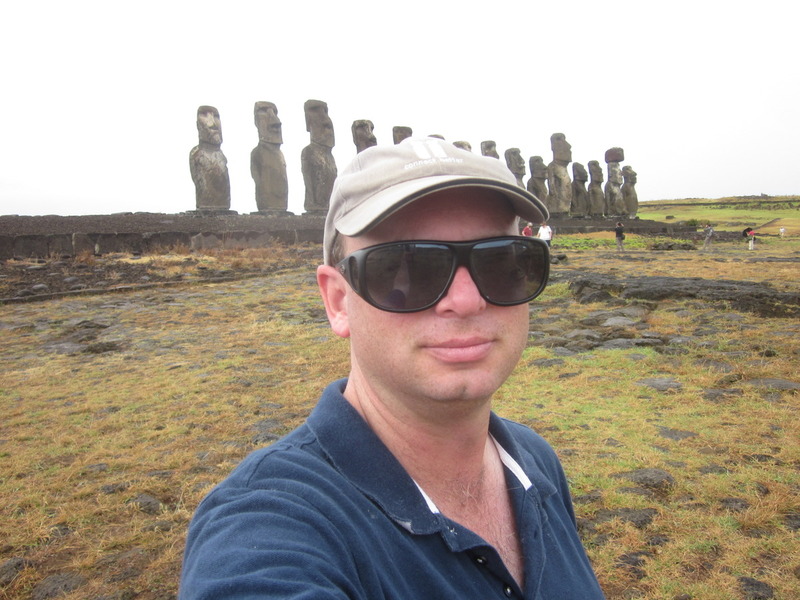 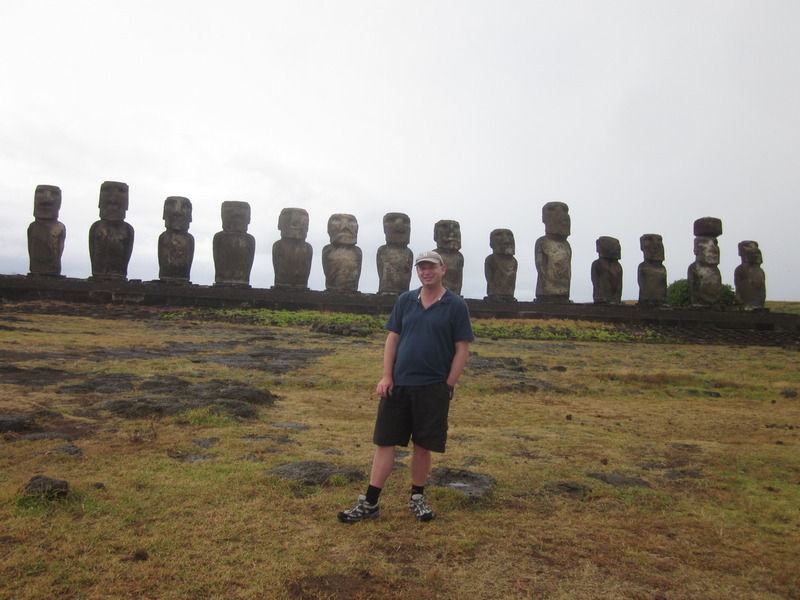 I had a few days in Easter Island. 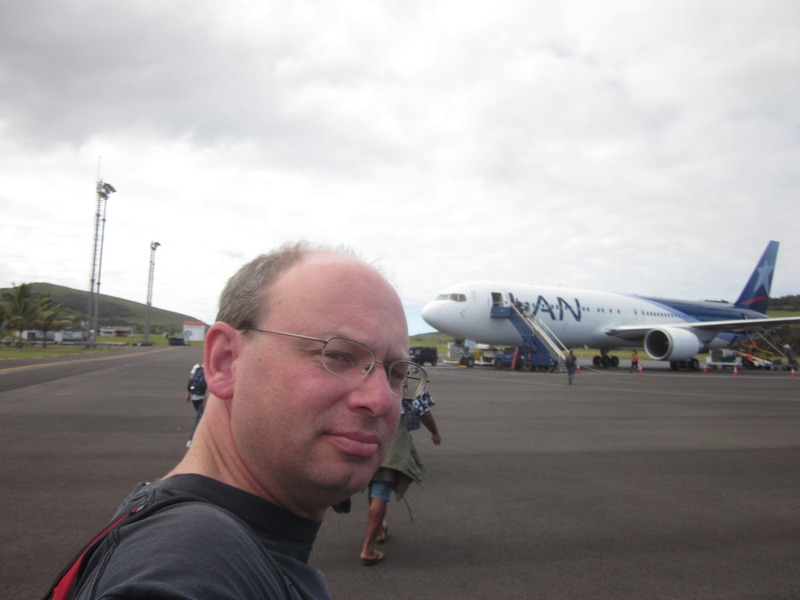 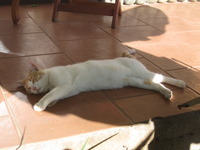 It was a bit of a nightmare to get to, Cancun - Lima - Santiago - Easter Island. 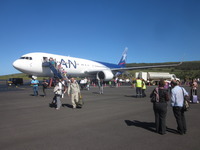 That's about 14 hours flying, with six hours in Santiago. 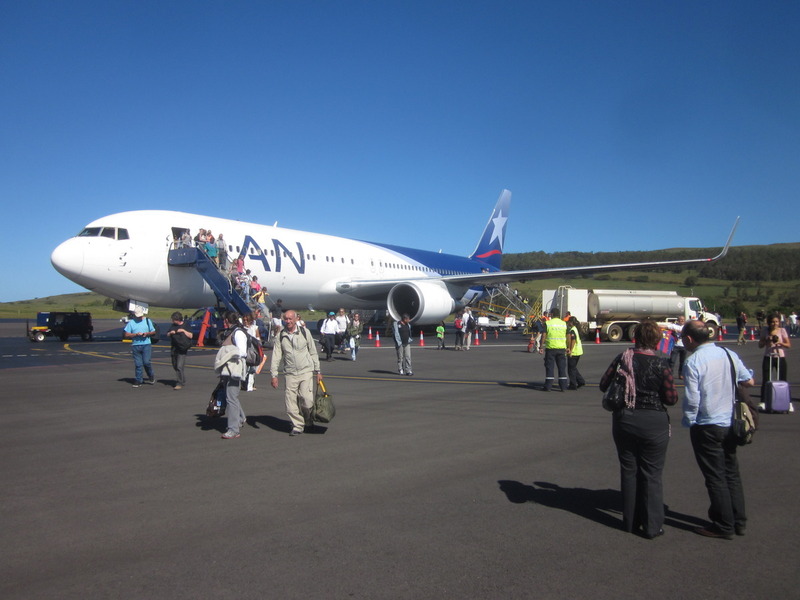 When I arrived, I discovered I could have flown straight from Lima on a flight that left about 10 minutes after my flight to Santiago and arrived on the island about six hours earlier. 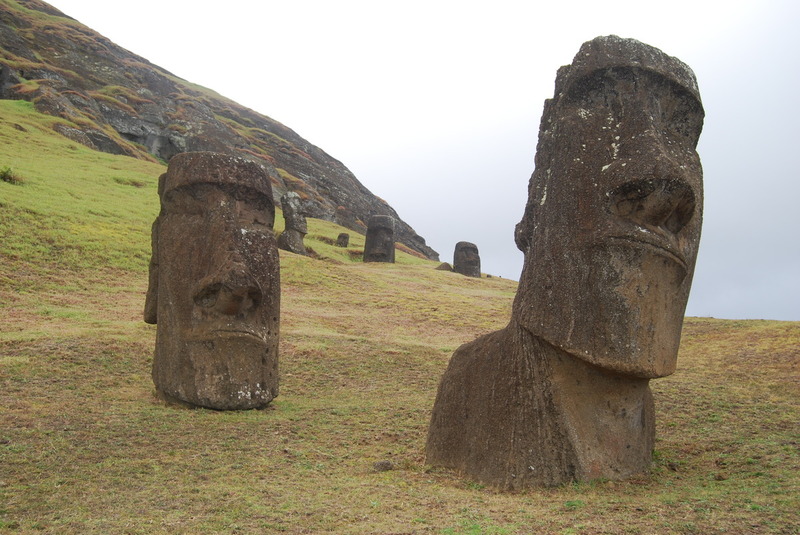 Something to remember for next time. 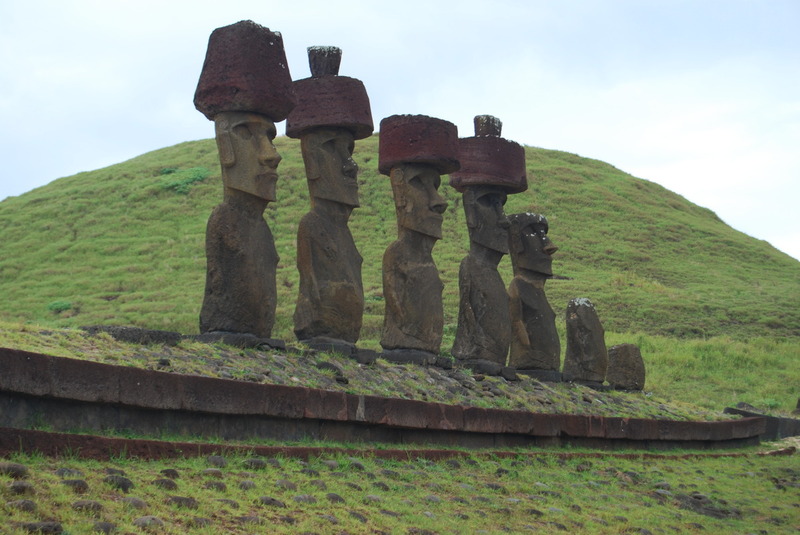 Easter Island is everything I hoped it to be. 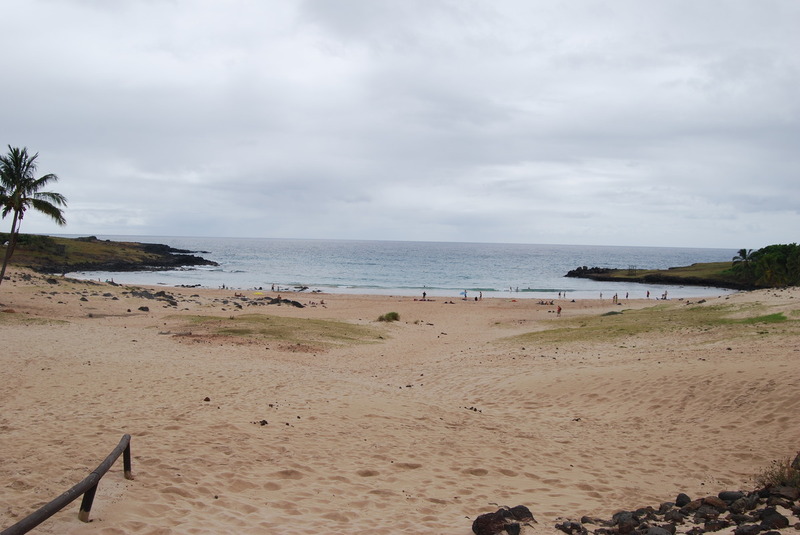 Completely different. 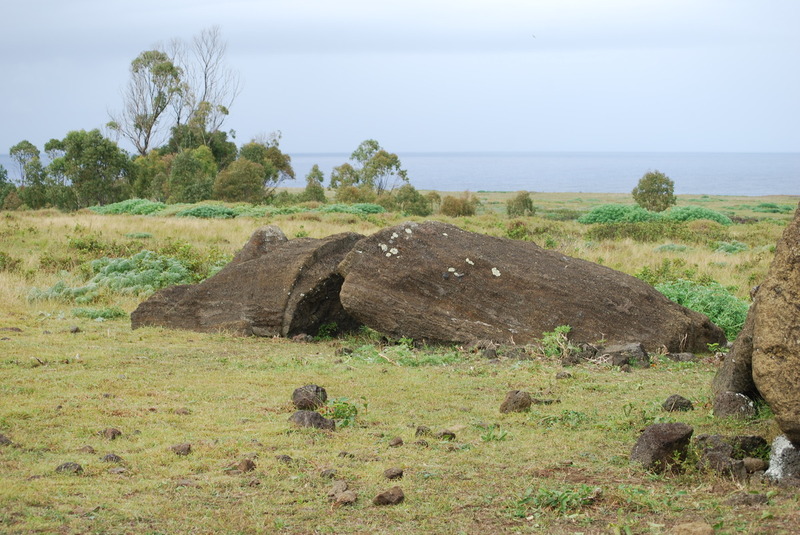 It's in the middle of no-where, just a lump of rock, several thousand kilometers from anywhere. 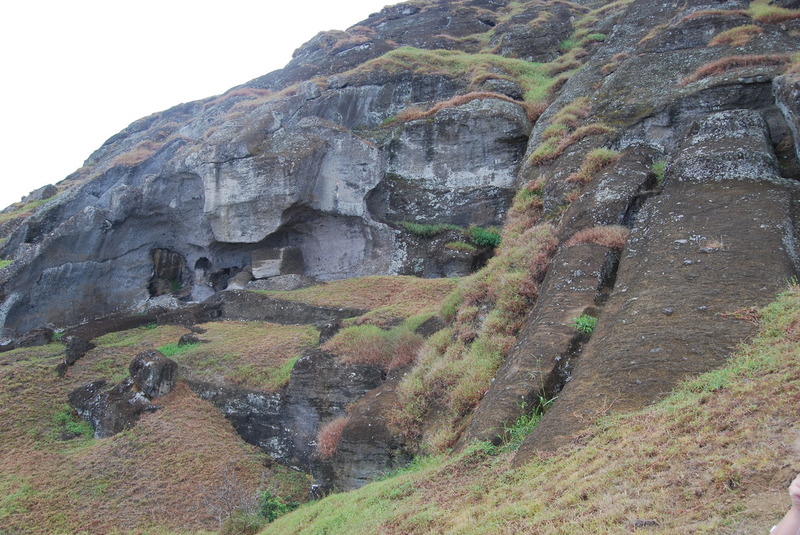 It had the thriving population which exploited all the resources then they faced the effects. 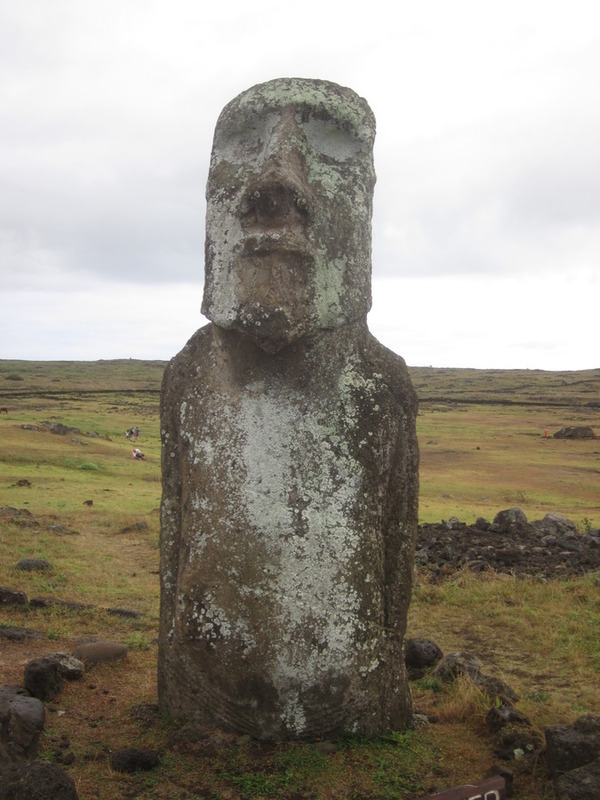 The population may have been as high as 15000, then dropped down to just over 100. 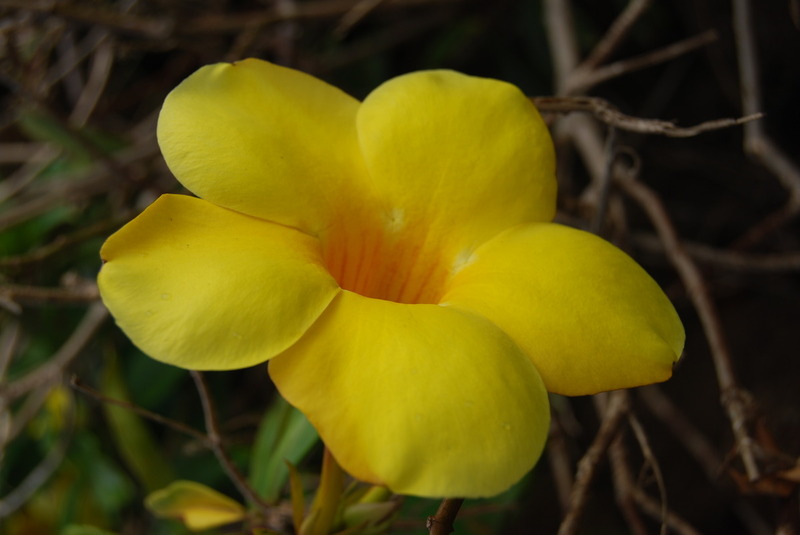 There was fighting, canniblism and who knows what else. 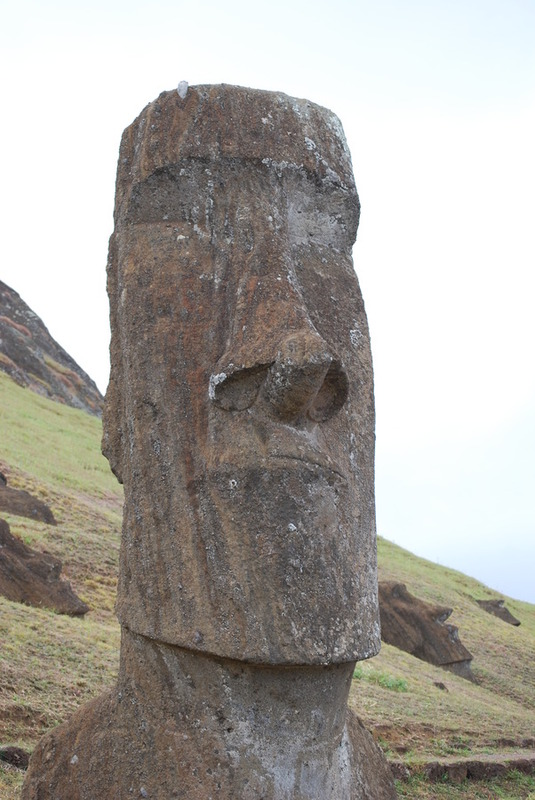 Of course, Easter Island is best known for its Moai. 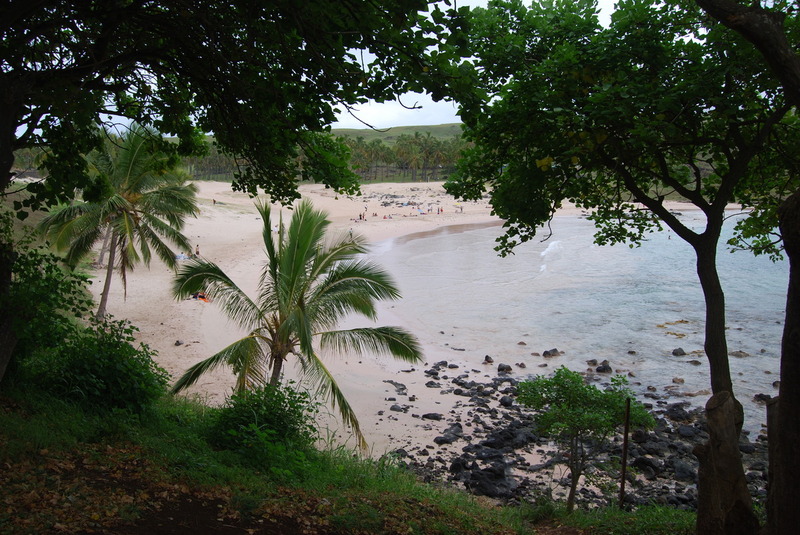 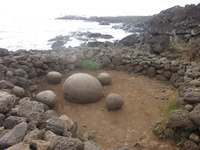 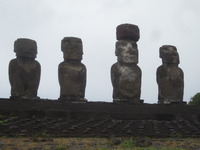 The big giant heads, which scatter the island. 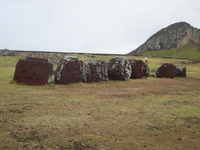 The former village sites use to have them to represent various ancestors to watch over the village. 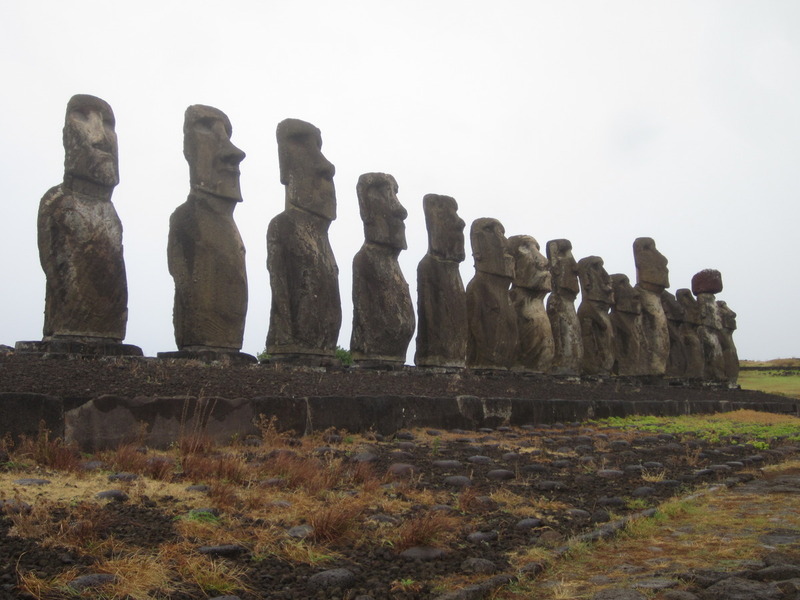 They think, as resources became more scarce, the locals got a little annoyed that their ancestors were not answering their prayers, so they pulled them all over. 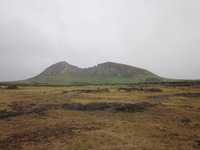 With the exception of the nursery site, any others you see standing have been restored recently. 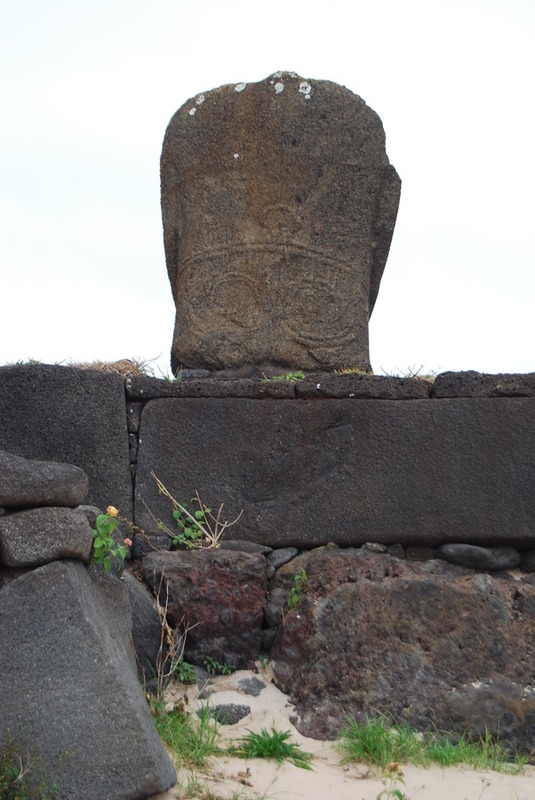 And there is stuff everywhere. 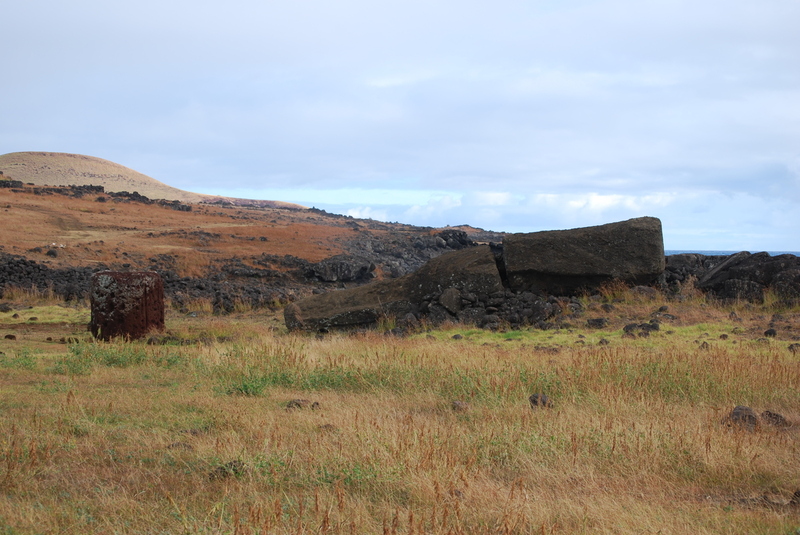 Go for a drive and there are ruins all over the place. 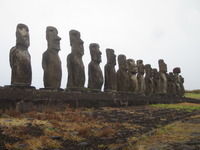 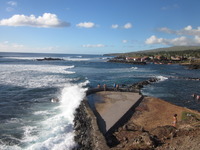 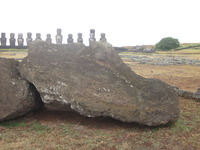 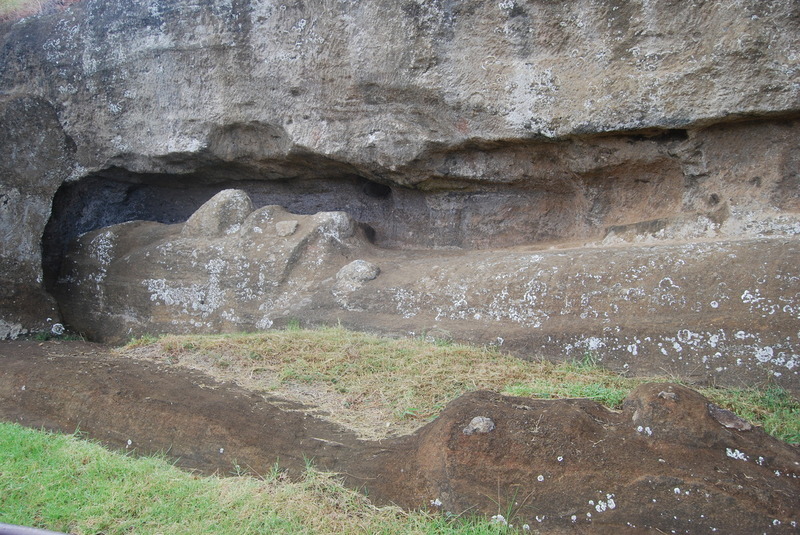 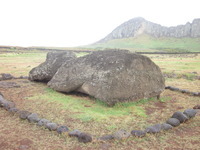 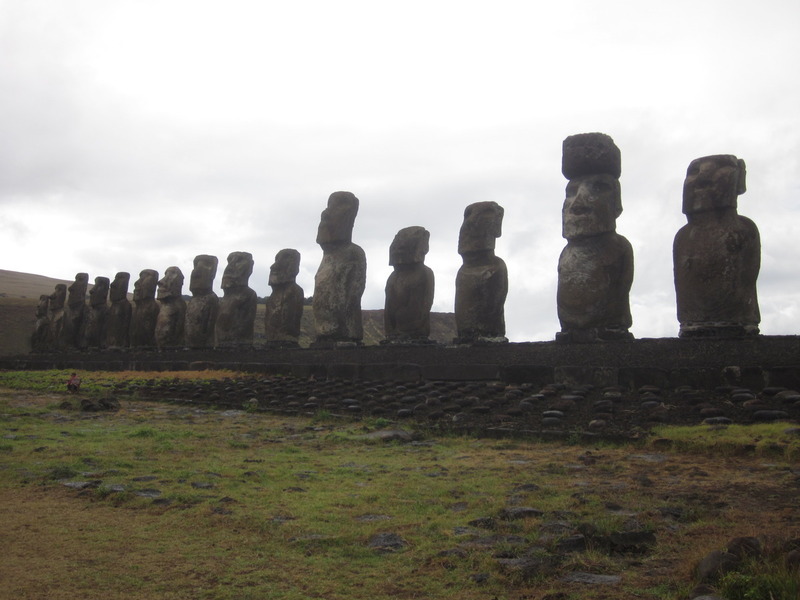 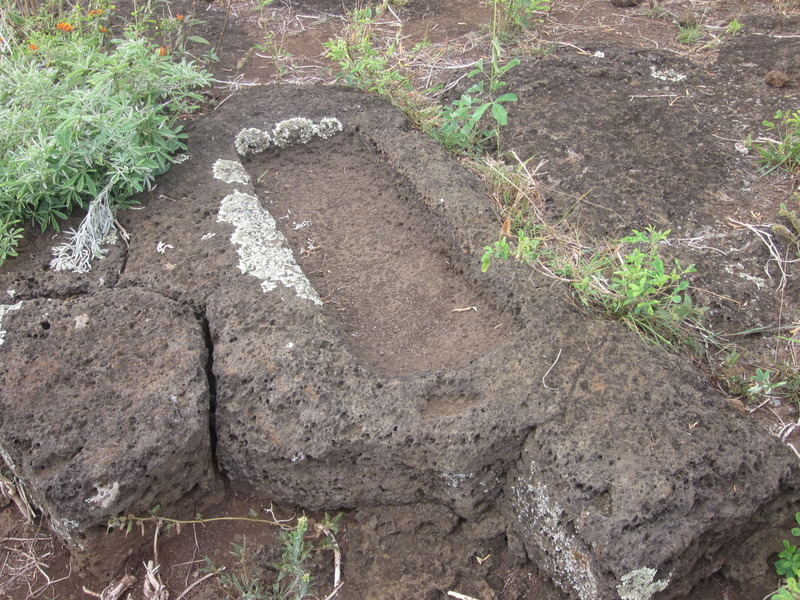 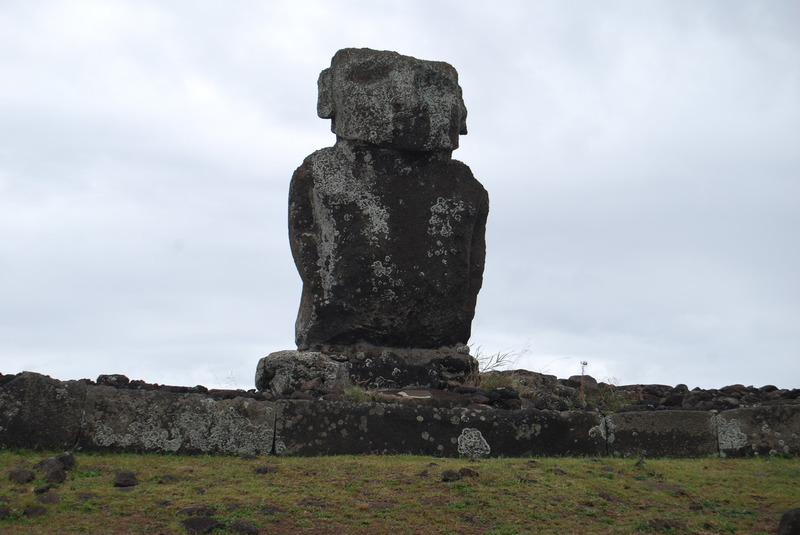 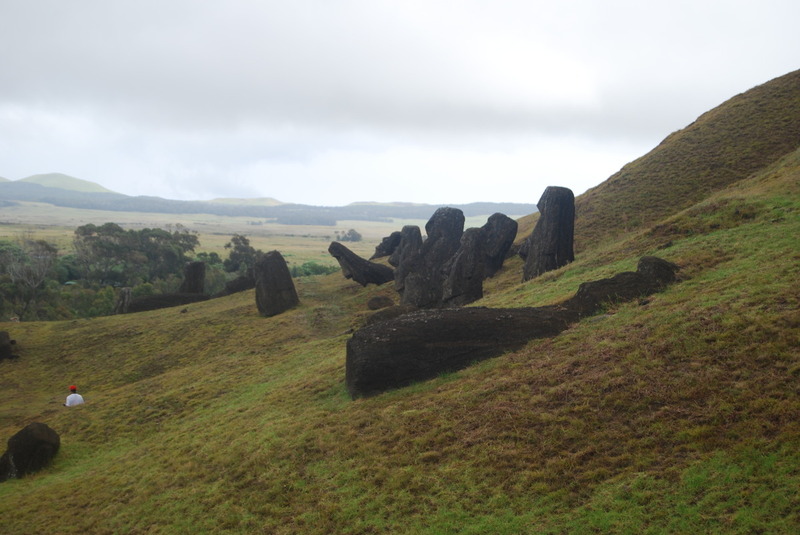 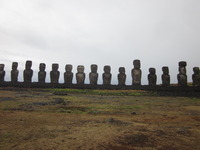 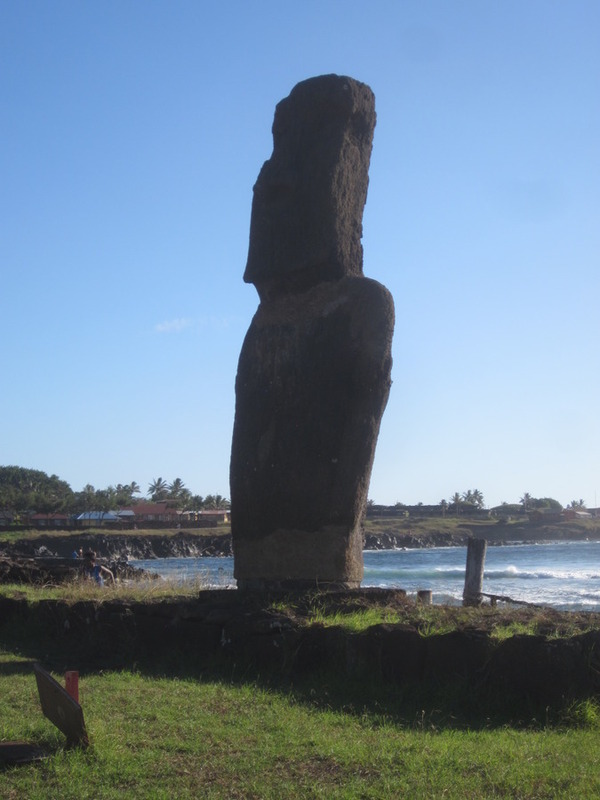 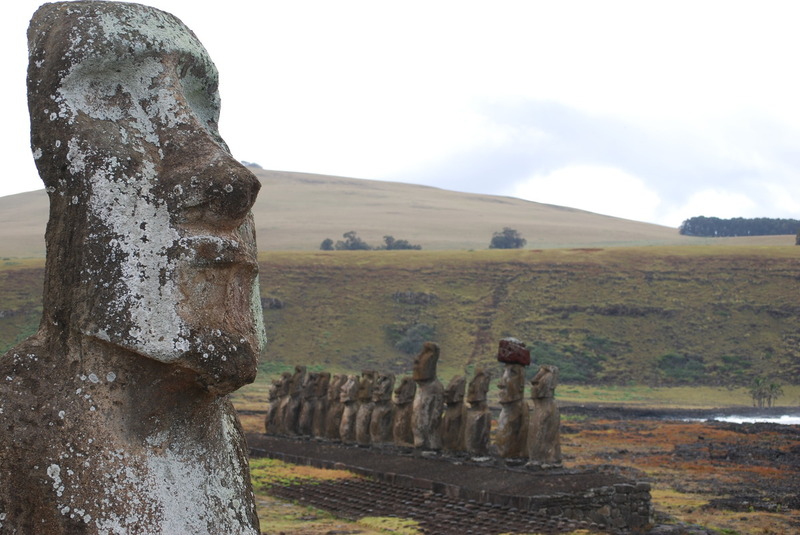 Some are big, the Ahu, which are the platforms the Moai sit on, ruins of the houses and stone chicken houses everywhere. 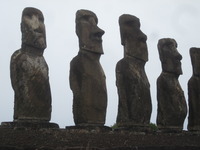 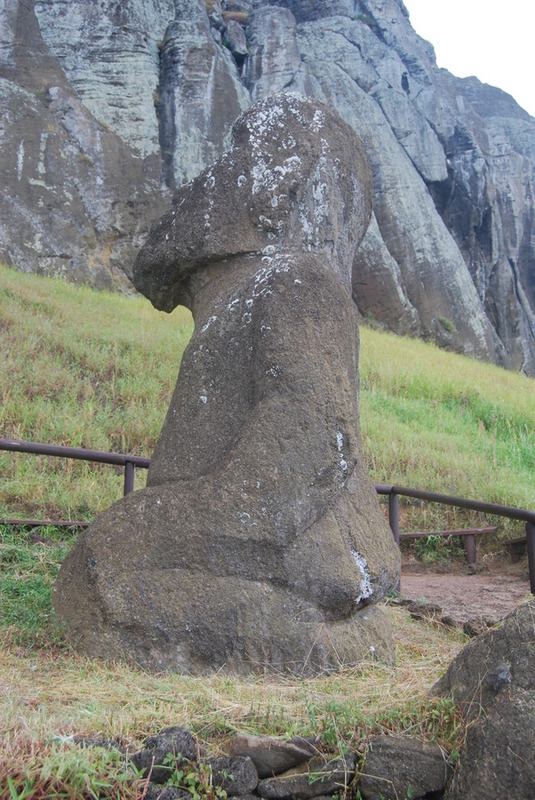 Each Moai is different, they all their own identity. 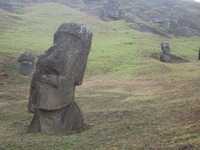 The nursery, the area where they use to carve the Moai from is amazing, like these things are crawling out of the ground. 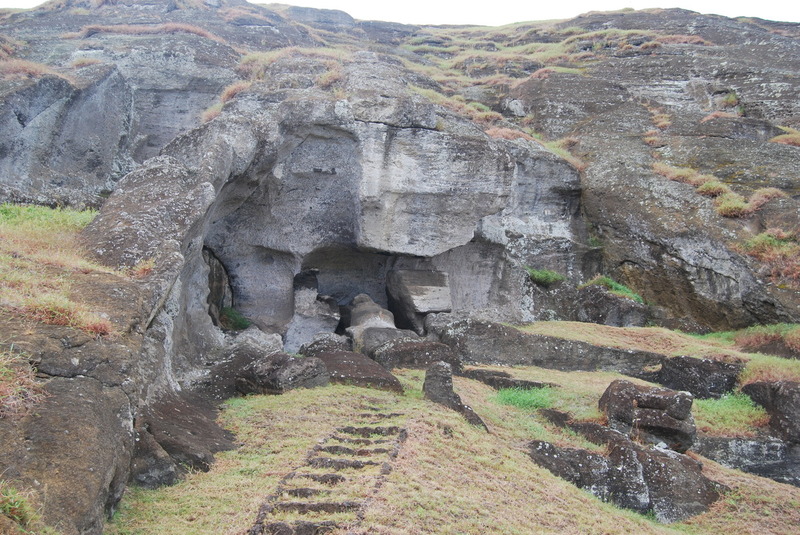 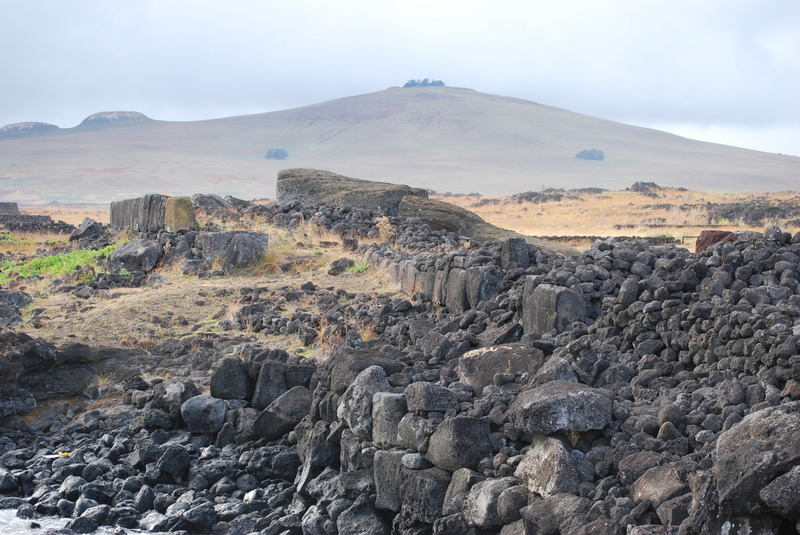 I discovered there are some extensive caves, former lava tubs, which I would have loved to have seen, but that will have to wait until next time. 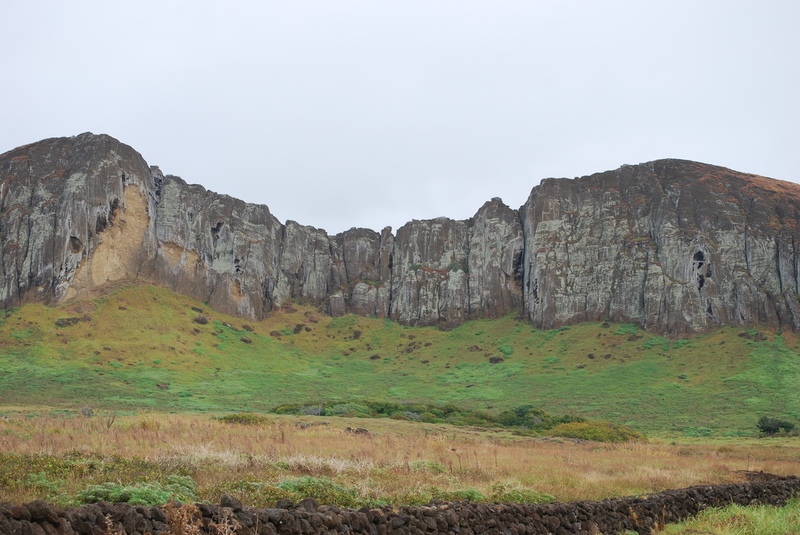 I also missed out on going up the old volcanos which I would have liked, so obviously I'll have to go back. 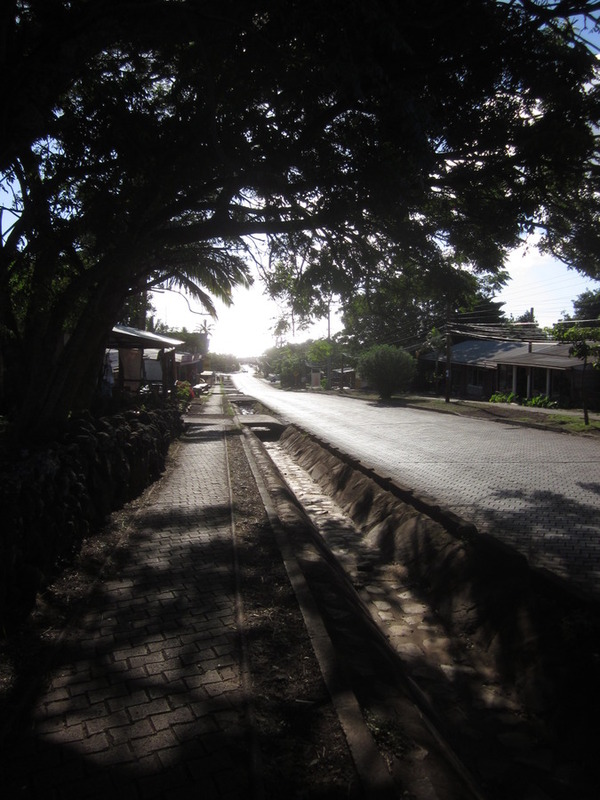 The townsite is lovely and laid back, not a lot there since everything on the island has to either be made there, or shipped in so that means most things are expensive. 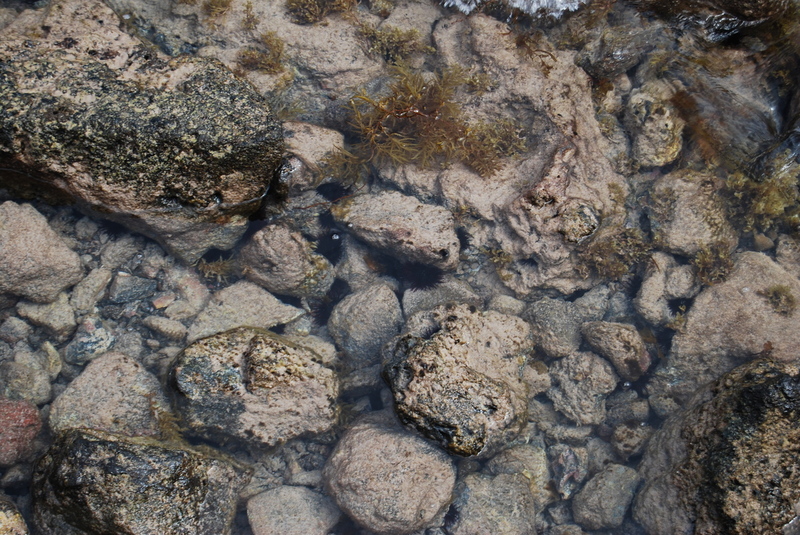 Fish and chicken are plentiful though. 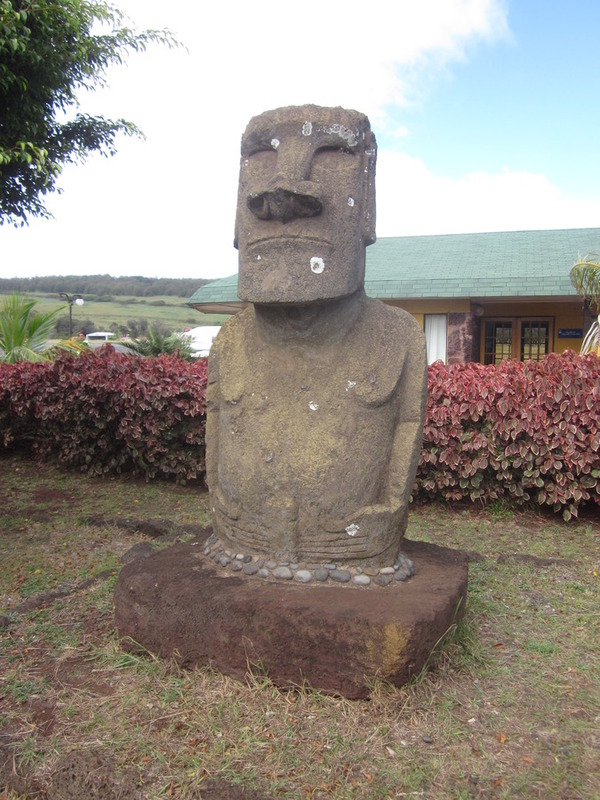 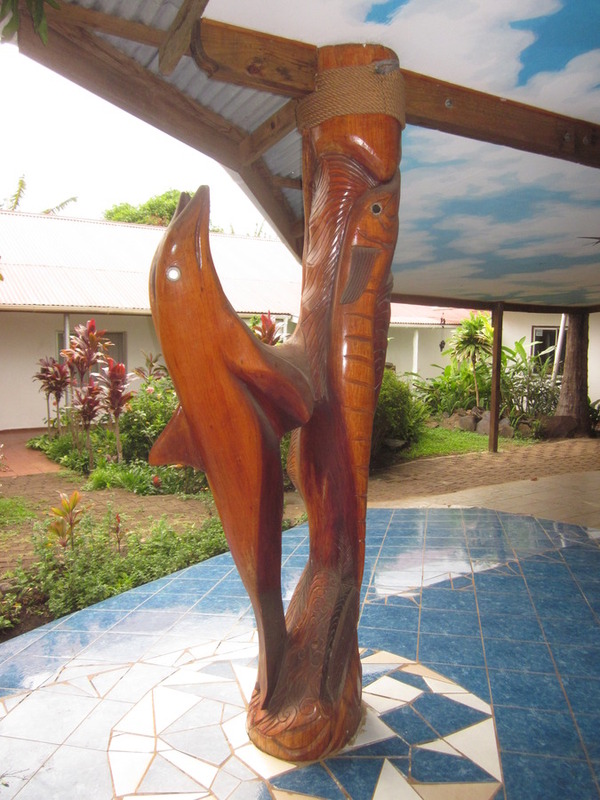 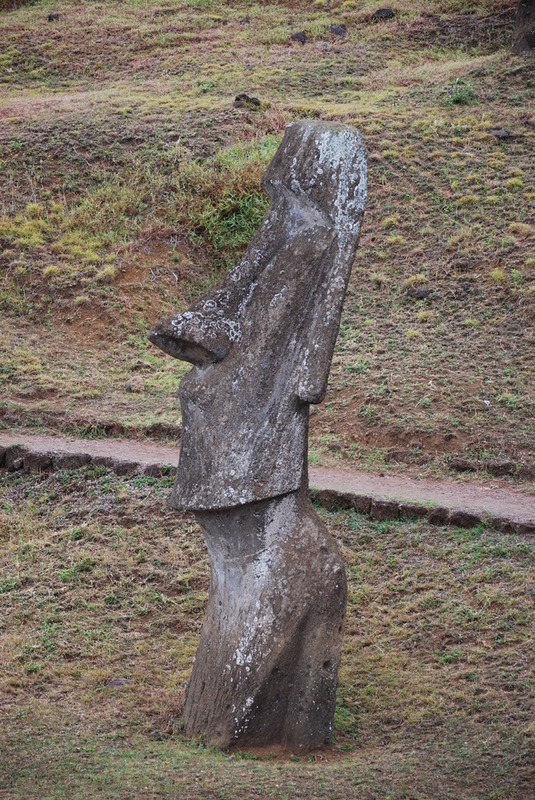 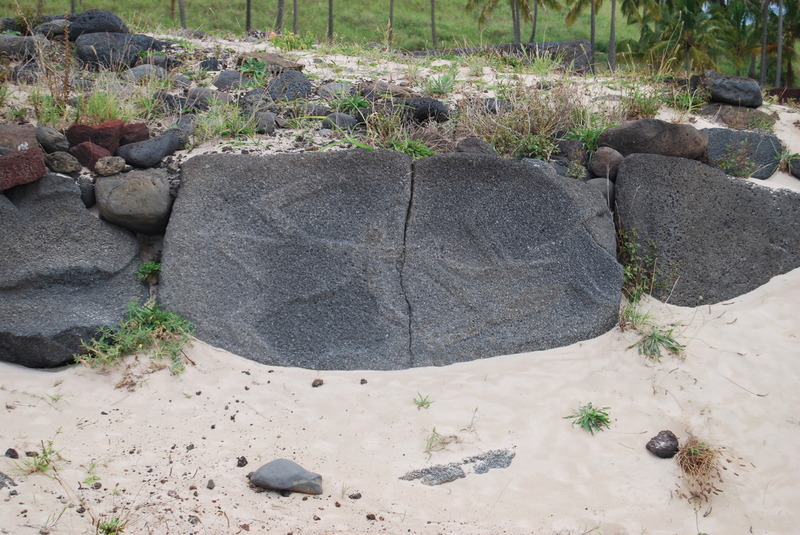 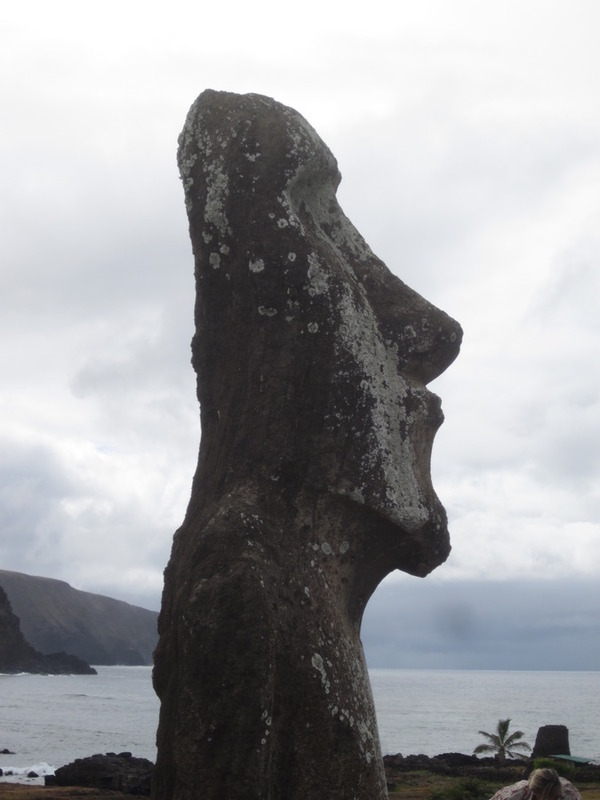 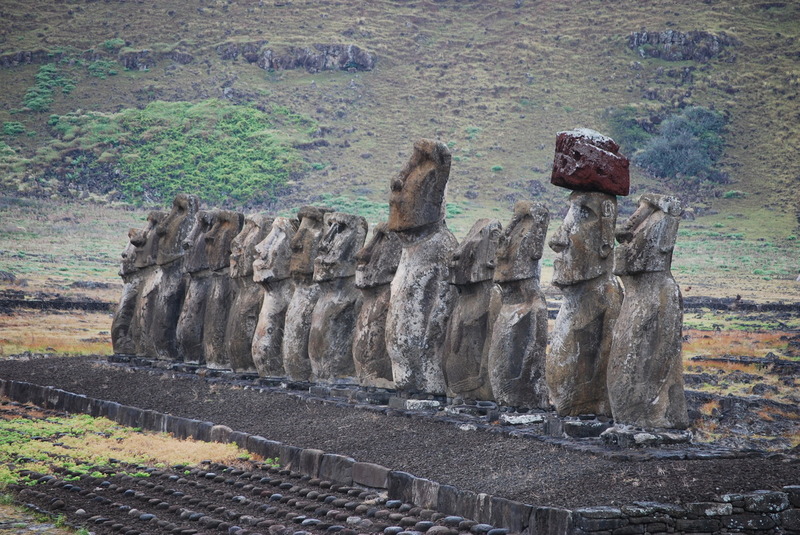 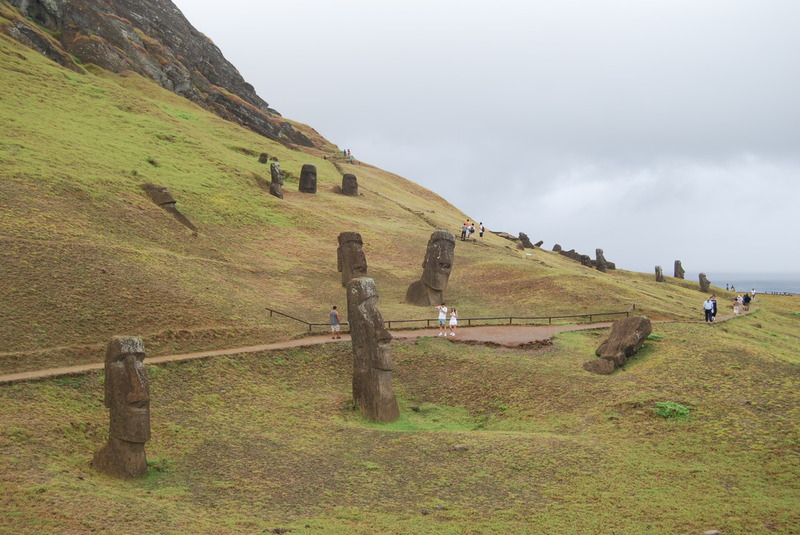 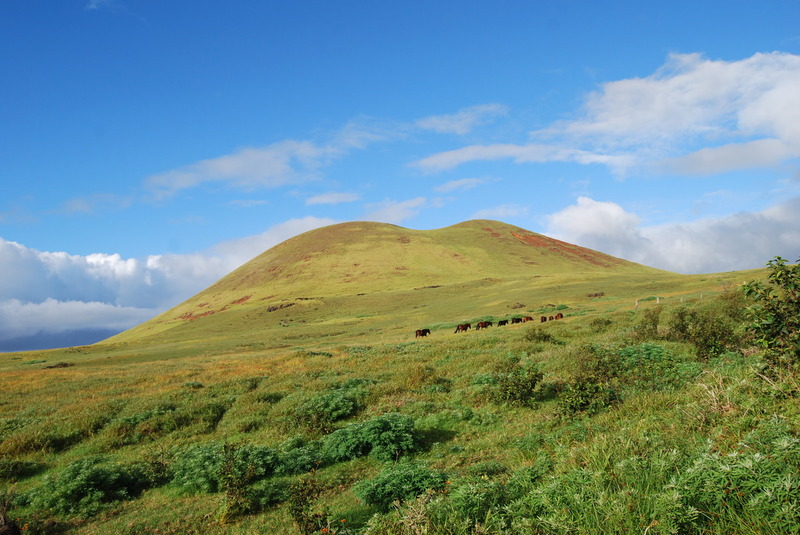 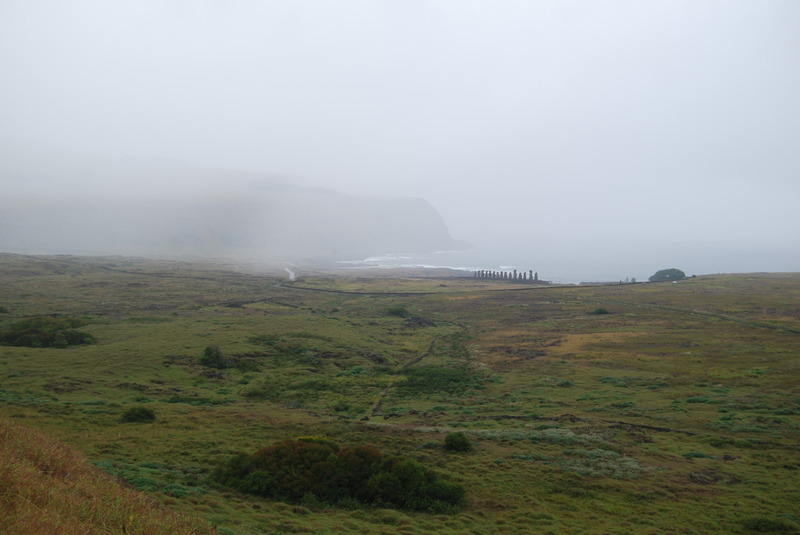 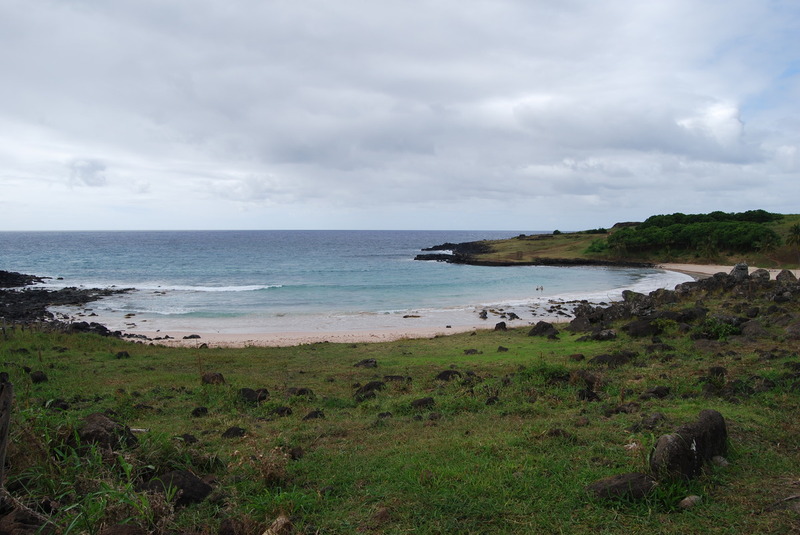 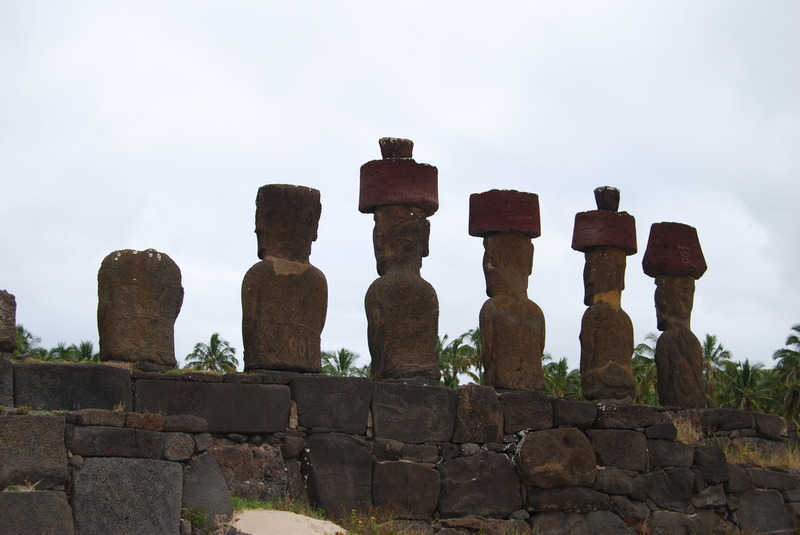 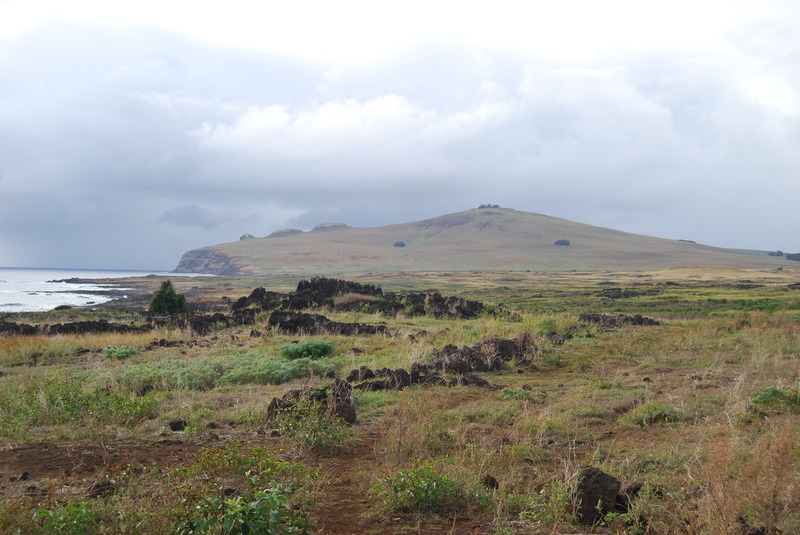 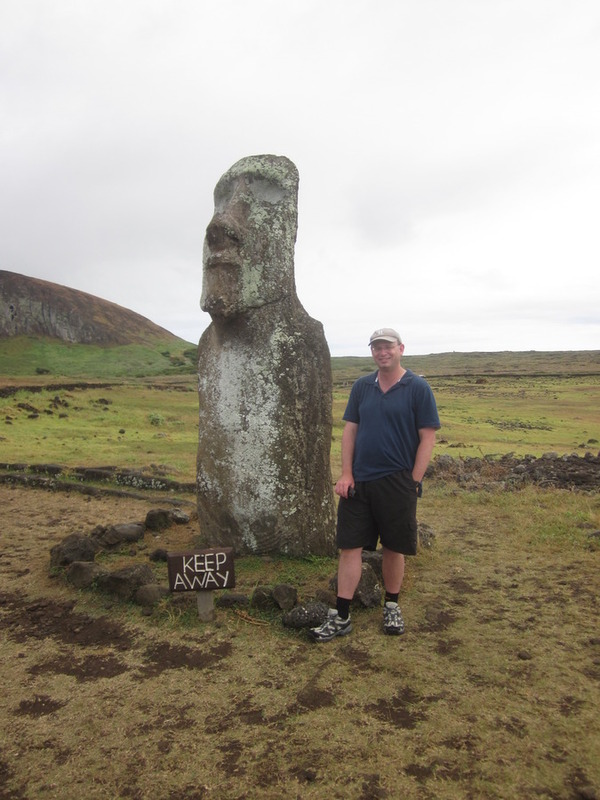 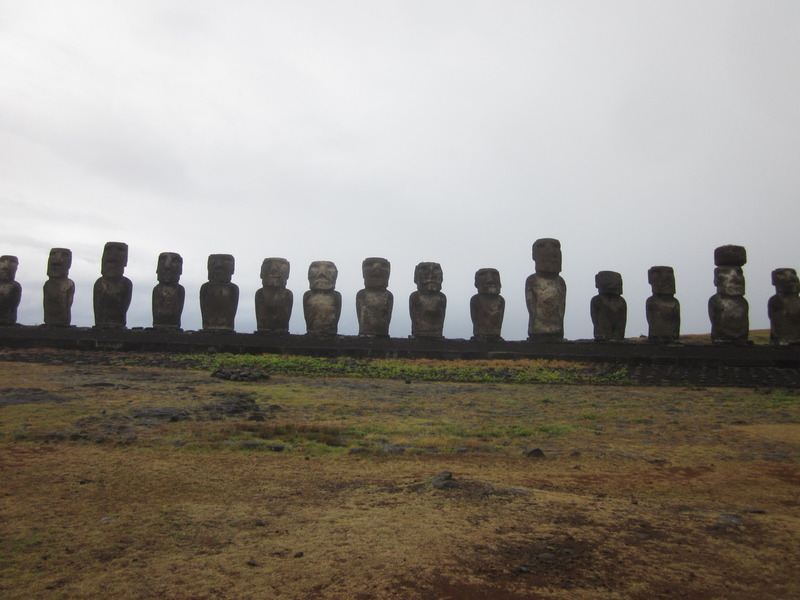 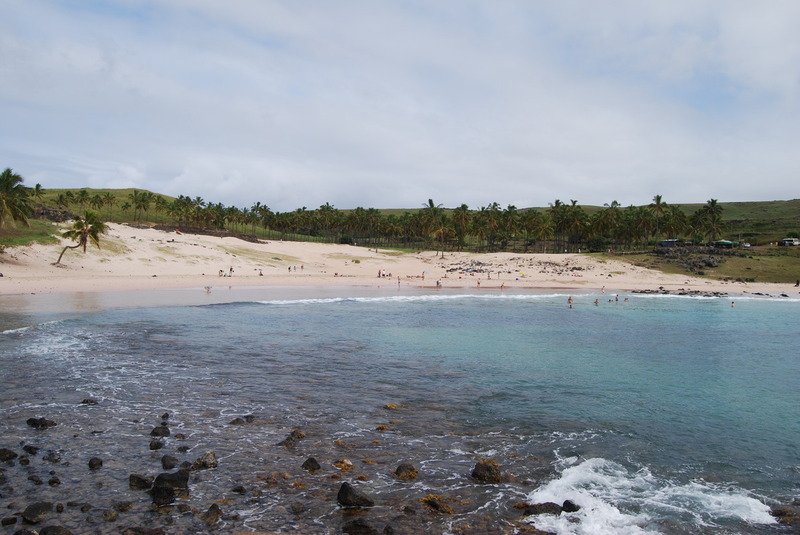 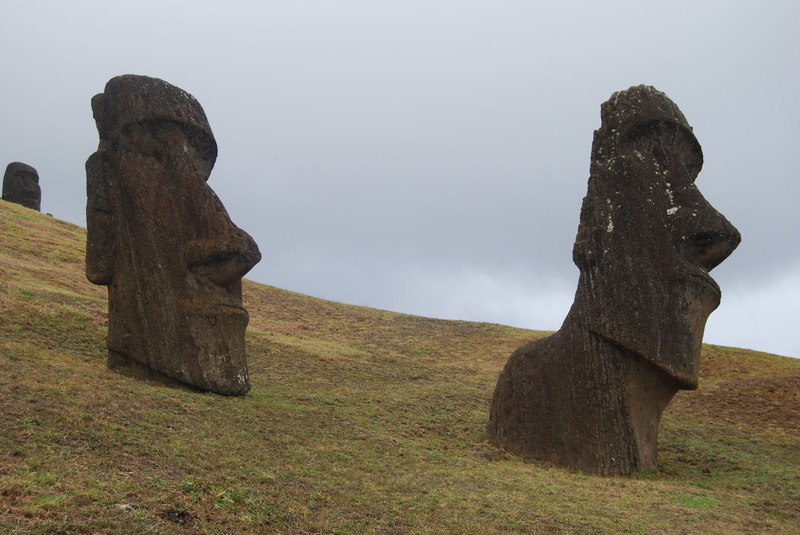 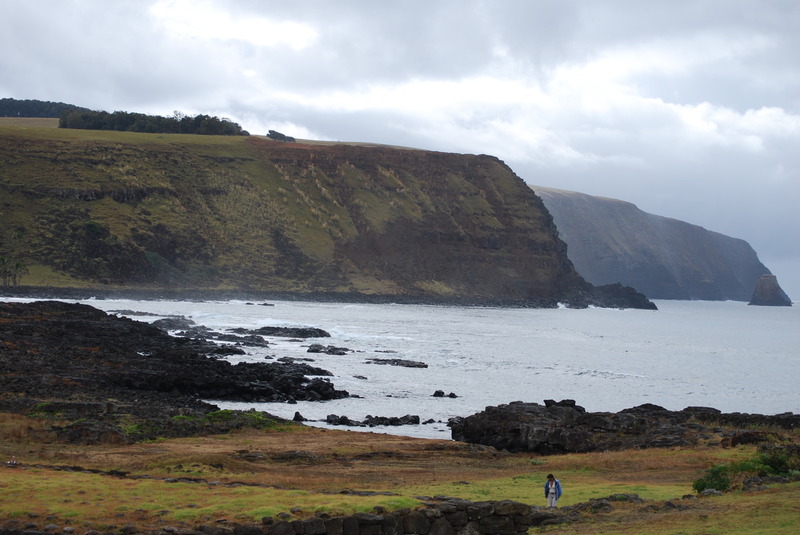 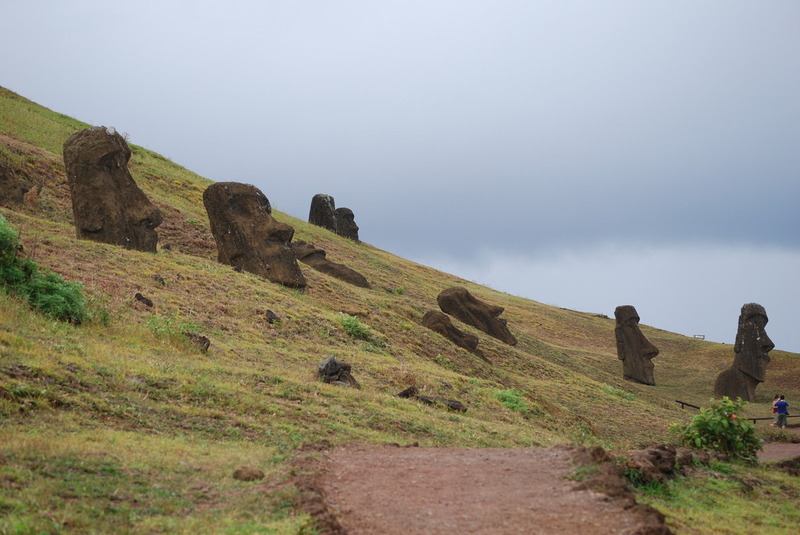 According to our guide, the common conception is Easter Island thinks of themselves as the navel of the world, but they tend to think of themselves as a good place to have chickens. 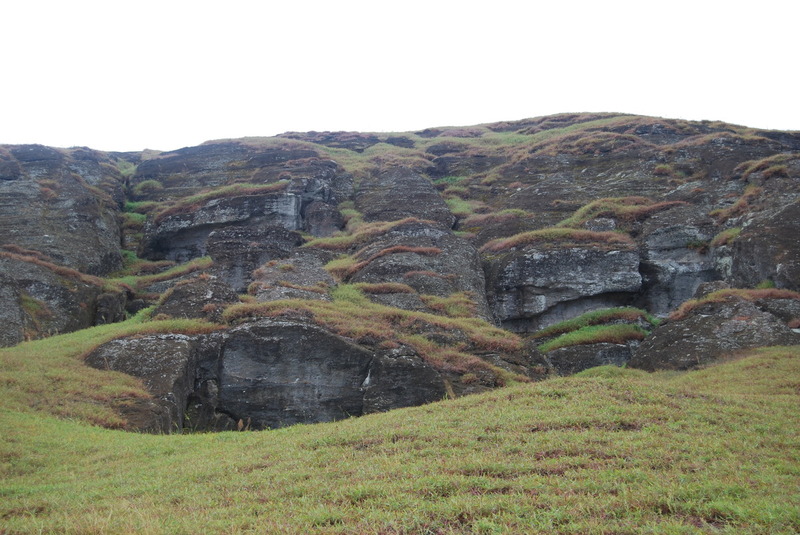 Looking back at the cliff, noticed the huge one onthe right? 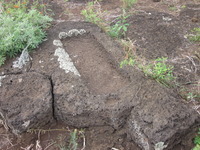 They're coming out of the ground! Last modified: May 27 2012 06:08:40.